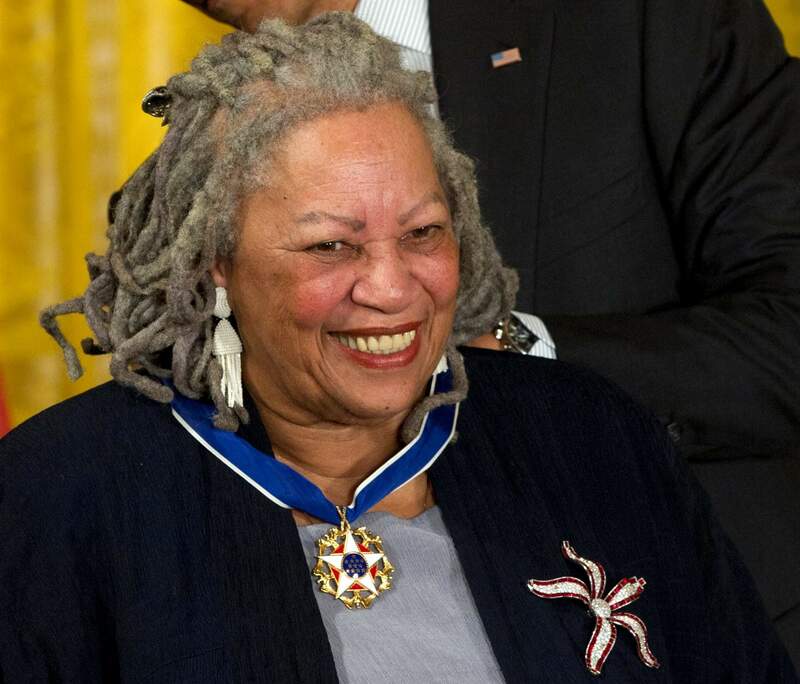 Author Toni Morrison receives her Medal of Freedom award during a ceremony in the East Room of the White House in Washington in 2012. PEN America, the literary and human rights organization, has assembled more than 1,500 hours of audio and visual material for a digital archive featuring Morrison and other leading writers and public thinkers of the past half-century. The literary and human rights organization told The Associated Press on Wednesday that the archive has been in the works since 2011. NEW YORK – Toni Morrison moderating a discussion about writing in the Soviet Union. Joan Didion defending Salman Rushdie against an Iranian death decree. Pablo Neruda explaining the role of the Latin America author. PEN America, the literary and human rights organization, told The Associated Press on Wednesday that it had assembled more than 1,500 hours of audio and visual material for a digital archive featuring many of the world’s leading writers and public thinkers of the past half-century. The website, https://archive.pen.org/, is the culmination of a 5½- year project drawing upon materials stored at Princeton University. PEN’s mission of support for besieged writers and of building a literary community was especially urgent in February 1989, when Iran’s Ayatollah Ruhollah Khomeini called for Rushdie’s death for the alleged blasphemy of the novel The Satanic Verses. A week after the decree, or “fatwa,” PEN staged a reading in New York of Rushdie’s work that was attended by Doctorow, Don DeLillo and many others. “Today we are all Salman Rushdie,” announced one reader, author Robert Stone. At the press conference with Schulz, PEN International President Per Wastberg promised the next few days would offer “dinners, parties, gossip, gossipy chats, glitter,” along with discussions about censorship and imprisoned writers.